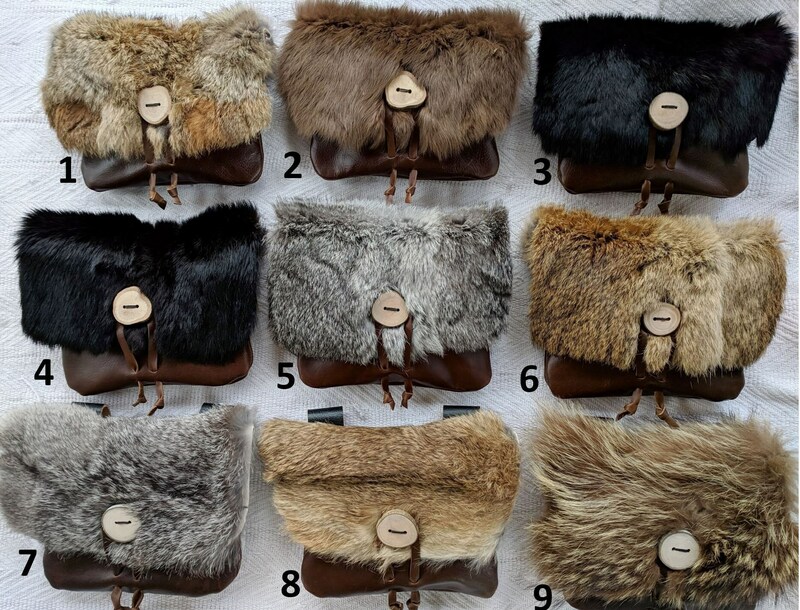 Our Viking bag series! 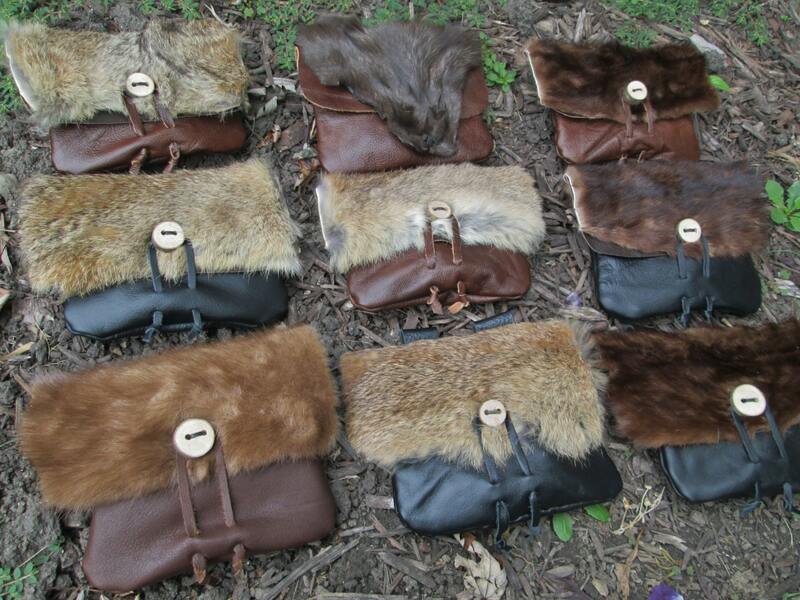 These leather belt bags are great for your Medieval/Renaissance Fair costumes. 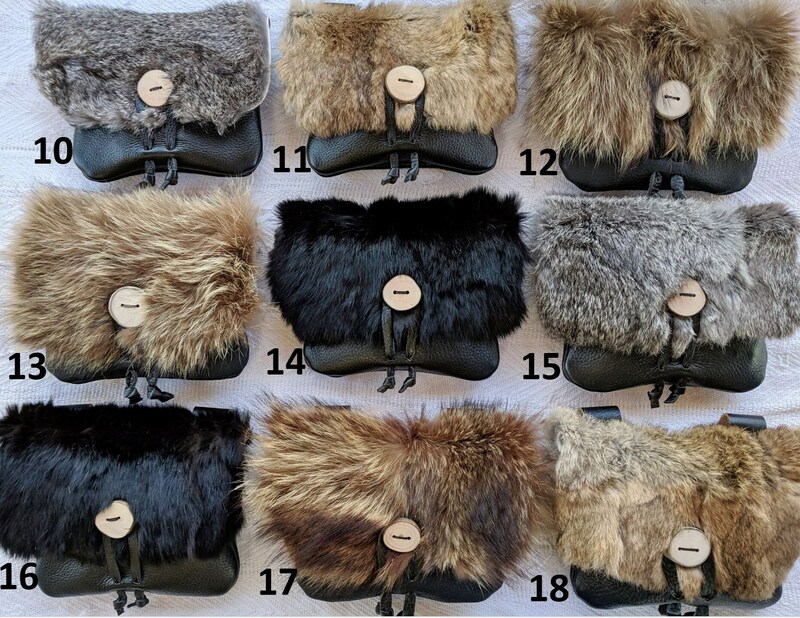 Made with quality cowhide leather & genuine fur. 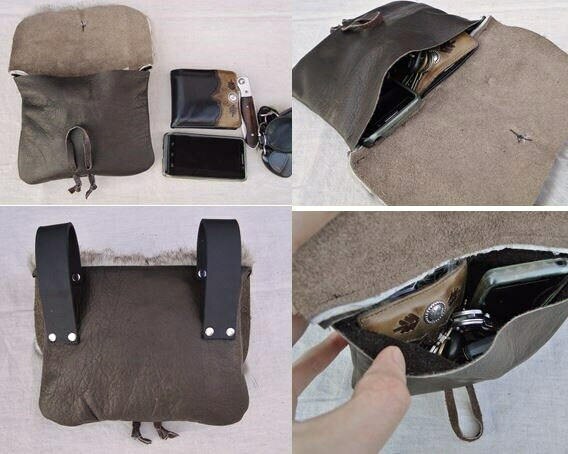 Perfect size to carry your modern smart phone, keys & small wallet. Closure is a leather loop & rustic wooden button (handmade from a tree branch). 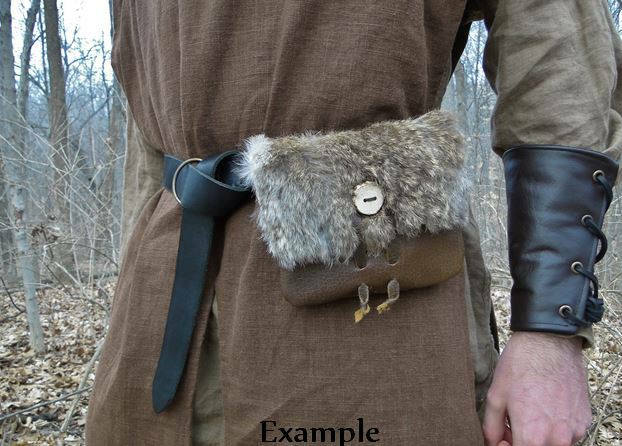 Sturdy leather belt loops will accommodate up to a 3" wide belt. Measurements: 5 3/4" tall x 7 1/4" wide. Such a wonderful bag! I love this and can't wait to wear it! Well made, fast shipping and packaged well. This bag came so quickly in the mail and it is soo gorgeous! Pouch is great. Just what I was looking for!